1. At 15 or 65, you are still a “Dada”. 2. New market is not new anymore! 3. If you don’t find a book in College Street, probably it doesn’t exist! 4. If you are wondering where the next bus-stop is.. just signal the bus to stop with your hands! 7. 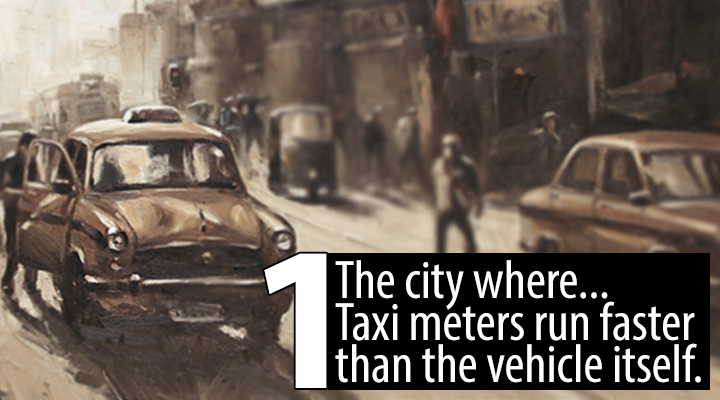 Taxi meters run faster than the vehicle itself! 8. Want to take a walk? If you aren’t married go to Victoria, if you are married go to South City Mall! 9. It’s not Tollygunge.. It’s Taligonj. 10. Everyone has a friend who is from South Point.